Come Celebrate the Beauty and Majesty of Our National Bird at the Bald Eagle Celebration! 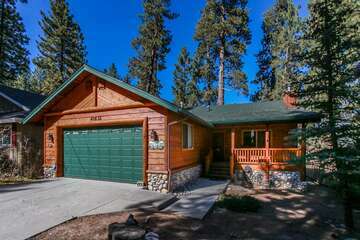 Each winter, Big Bear Lake has the esteemed privilege of becoming the home of the bald eagle migration for the season. On the second Saturday of each month during the winter season, December through March every year, the town celebrates this with a volunteer count of all of the wild bald eagles in an effort to assist the National Forestry Service, followed by the Bald Eagle Celebration at the Big Bear Discovery Center. These one-hour presentations given by local naturalists allow locals and visitors alike to learn more about the iconic species of bird that so boldly represents our nation, as well as why the conservation efforts made to protect the bald eagle are so vital. The bald eagle counters meet at the Discovery Center between 8:00am and 8:30, with the count in the San Bernardino National Forest lasting from 9:00am until 10:00am. The celebration at the Discovery Center afterward lasts from 11:00am until 12:00pm. 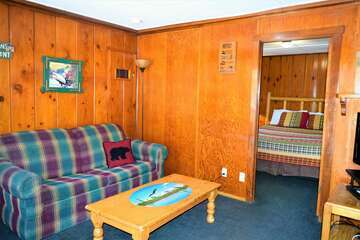 Our cozy, classic, and no-frills traditional cabins put you right in the middle of the scenic loveliness and thrilling adventure of all that Big Bear Lake has to offer. Come explore the old-fashioned charm of the most unique alpine skiing town in all of Southern California! 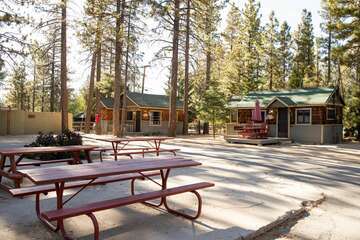 Contact our friendly reservation specialists today to learn more about the Big Bear area, the locations of our cabins, and how our vacation rental process works when you reserve your own private Big Bear cabin in the splendor of Big Bear Lake and the San Bernardino National Forest.